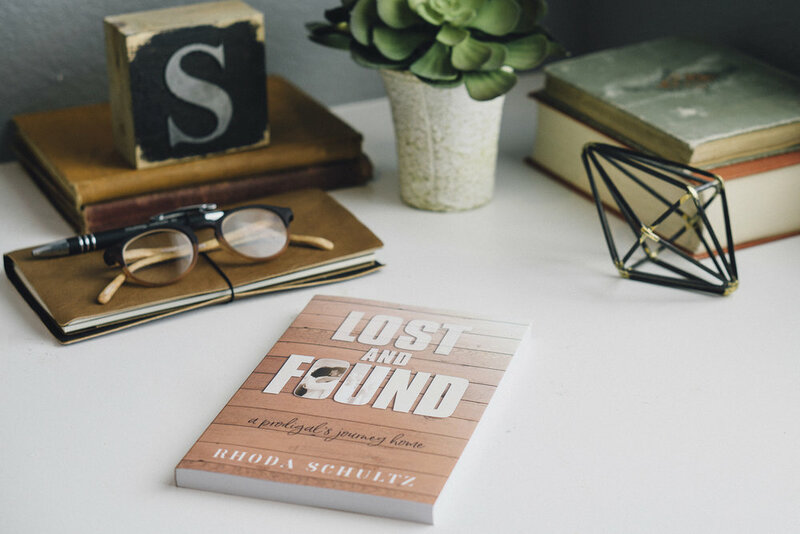 Lost & Found: A Prodigal's Journey Home is out now! Parents who are waiting for prodigal children suffer in shame and silence. Our journey took us from vibrant community life to isolation and back as we walked with our prodigal child. As parents are living in the space between the now and the not-yet, this book will provide a visitation of grace and hope for beauty in the midst of scorched-earth ashes. Our heart is to communicate the good news of Jesus through the lens of our story, which is His story. Rhoda speaks on the impact their family’s prodigal journey had as a parent, wife, and friend. Our story provides a platform to address parenting groups, women’s gatherings as well as educators. Through this dark journey, we experienced the fullness of God’s story of love, redemption and hope. Today is the day for new beginnings. For new steps. New Youversion reading plans. New journals. If you’re like me, you might even spend a few moments of the day with a new book and a bowl of posole. It’s been years since I wore perfume. Decades, actually. I was never super heavy-handed with fragrance, but I wore my fair share of Love’s Baby Soft like every other young girl in the late 1970’s, even if it was “borrowed” from my older sister’s hidden stash. I memorized with razor sharp detail the arrangement of contents in her sacred blue Tupperware box before disturbing the treasures by gently removing the pink baby-powder scented bottle as I helped myself to a few sacred drops of the magic “big girl” elixir. May these students know the peace of being held by you, even when storms might rage around them. Give them wisdom to navigate the decisions ahead of them and that no matter what, let them know they are YOURS. Cause them to remember your goodness, and to sense you are WITH them and FOR them all the days of their lives. Whether through intimate groups or large gatherings, I’m passionate about studying Scripture and sharing face to face from the place God is forming me. I am neither a Bible teacher nor expert theologian, but more like the woman at the well who extends the invitation to other thirsty travelers to “come and see.” This story of our prodigal son’s journey is good news for us all. Through disappointment and darkness and brokenness, our family experienced the good news of Jesus, the best news of redemption and reconciliation and hope. Together we will laugh (yes, there is laughter in our story), learn, remember, shed a tear in safety, and walk away trusting in Jesus more. "Rhoda has a true passion and calling on her life to share her story and extend hope to others through Jesus Christ. The women of our church were encouraged and revived through Rhoda’s ministry. I would highly encourage churches to call upon her unique life experience and passion to see reconciliation sweep across the landscape of our families. Her ministry will not only impact individual families, but the health of the church family as well." "Rhoda has a gift, and the gift is to see what others don’t see in life and all of it’s experiences: it is the gift of the “seer.” She has well cleared the pathway to the heart of King David in her writing. It is unusually transparent and relevant as she beautifully depicts true realities and treasured redemption! My heart soared at different places as I read her snippets of wisdom and awesome theological and philosophical truths."